A lovely, cool couple of hours walk from Rainbows Falls, Kerikeri NZMCA Park to the Stone House in the shade of the trees. Some nice swimming spots on the way and if you are brave you can even explore behind the waterfall. Next time maybe! 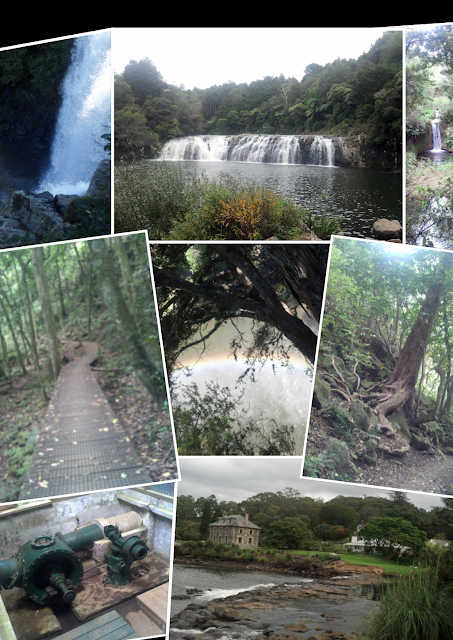 Oh yes and I omitted to say the Falls are just a hop over the style from the NZMCA Park, which is a top place to stay. Will look this up when we are in the area.